Class 1. Walking on a trail. Class 2 and 3. Hiking/climbing up a steep incline/hill where the hands are occasionally used. A rope isn’t needed. Class 4. Technically the same as class 2 and 3 except that a fall could be lethal. A rope is required for safety. Class 5. This is technical climbing on near vertical, vertical, and overhanging rock or ice. Ropes and specialized gear are required for safety and sometimes for making upward progress. As you can see, climbing includes hiking on and off trails. The vast majority of “climbers” stay within classes 1-3 and generally don’t regard themselves as climbers. People who climb class 5 terrain usually must cover classes 1-3 to get to the vertical and technically demanding climbing. Ignoring UV exposure now, will cause eye health problems later in life, such as cataracts and macular degeneration. Those who spend time on glacier fields or any snow-covered area also risk snow blindness. Hiking in areas lacking tree cover for extended periods, racks up your exposure time to UV. The more UV exposure time you accumulate, the greater your risk of serious eye health problems in a few decades. UV is more intense at higher altitudes. It increases by 10% for every 3000 feet gain in altitude. If mountaineering at high elevation is your passion, prescription sunglasses are essential. UV exposure is intense if you spend hours rock climbing on sun-exposed cliffs. It’s just you, the sun, and the rock. Some types of rock climbs are worse than others. For example, climbing on light-colored rock domes and sloping rock slabs means sunlight (and its UV) is reaching your eyes from both the sky and the rock all around you. This is similar to hiking in a snow field. The situations described above for UV exposure also subject your eyes to glare. Spending hours squinting your eyes in intense sunlight fatigues the muscles around the eyes and contributes to your general level of fatigue. While it’s true that glare won’t stop you from climbing, the fatigue will prevent you from climbing at your best. This alone can make the difference when climbing a rock pitch at your technical limit. Too much glare causes headaches, which are an undesirable distraction. When you’re above the tree line, especially when hiking along an exposed ridge, the wind can get very intense. Wind exposure will vary depending on the location, weather, and the time of year. While your eyes can take a steady blast of 50 mph wind for brief periods, any extended hiking in these conditions will cause the eyes to tear up and blur your vision. Dry eye can also occur. The top of a mountain ridge is not the place to get dry eye associated vision problems. This problem gets especially acute at cold temperatures. Another problem with wind is airborne grit getting into your eyes. The Wiley X Arrow, Matte Layered Tortoise Glasses, and models like it, have built-in features and options you can select that are ideal for the hiker/climber who wants protection from the above described eye hazards. 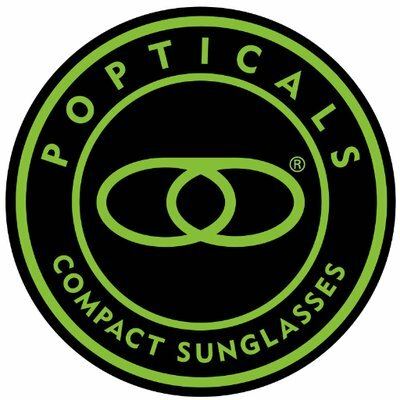 The lens material is polycarbonate, which protects you from all forms of UV radiation, that is, UVA, UVB, and UVC. No special UV coating is needed because the protection is inherent in the lens material. Polycarbonate has superior impact strength and is used as the canopy material of some fighter planes. 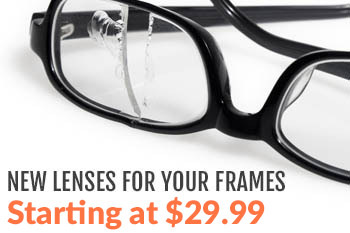 Trivex is an option that has nearly identical properties but has better optical clarity. An additional scratch coating is recommended. Transition brown or polarized brown are the recommended colors/tints for glare protection. A transition tint will change its darkness depending on the sunlight intensity. A polarized lens on the other hand, virtually strips away glare from horizontal surfaces. A brown color enhances contrast for improved route finding and scenery enjoyment. This model (and others) has a removable facial cavity seal. The seal provides wind protection when you need it and is removable for when you don’t. The sunglasses have a built-in ventilation system to prevent fogging and a temple strap for better stability when rock climbing. Finally, these sunglasses have an ANSI Z87.1 safety rating, which means you can use them as safety glasses if you choose. That is, it takes a lot of abuse to break them. If you need any help in selecting the right options for your prescription Wiley-X sunglasses, contact us.